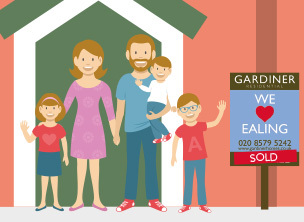 Gardiner Residential is an independent family-run Ealing estate agents, letting agents and property management company. We’re passionate about property and have over 30 years experience in selling and letting some of London’s finest homes. If you are looking for property to buy, sell, let or rent a property in Ealing W5, W13 and the surrounding area, please get in touch. We offer a bespoke and tailored service, with customer care at the forefront. 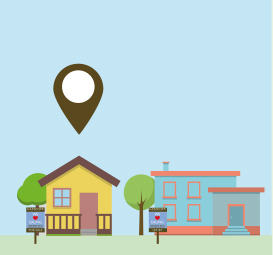 We know that moving home can be an emotional and challenging process especially in today's dynamic marketplace. With a proven track record of success, our team is here to assist in every step of the process. With our expertise and dedication to your property, you can enjoy the process. At Gardiner Residential we are also able to provide you with complementary services. 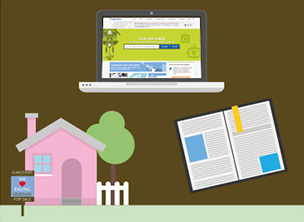 Our finding service helps you find the perfect home by conducting an intensive property search. We're proud to present some of the finest new homes in development in London. "I have used Gardiner Residential as my estate agency of choice for the last 4 years, first to locate and purchase my home and second to get tenants for my flat and to run the tenancies. It has always been a pleasure to deal with Ian and Emma Gardiner and their team. I find them friendly, caring and professional." "Thank you for your email. I was exceptionally pleased with the way the sale of my flat was managed from initial meeting to completion. The main reason we choose Gardiners to market our property was because on first meeting Emma as well as being most professional, she made us as clients feel individuals and not just business, selling a home is an emotional strain and at every step of the way Emma supported us. " "I found Gardiner to be incredibly professional in all aspects of their service to vendors and buyers. Their photos of our property were excellent and my impression of them is that they are very trustworthy. They are refreshingly genuine and care about their clients. All in all, they offer a very unique and unrivalled service in Ealing "
"We were looking to buy an investment flat for the first time and have found Gardiner Residential to be incredibly helpful and efficient, over and above the call of duty. It is really very rare these day to get exceptional service but I believe GR offer just this. They offered us advice on all aspects of our purchase and subsequent let and were really extremely helpful "
"By far the top agency in town. Gardiner Residential provide a service which is unique inasmuch as you know you can contact them at any time of day or night, nothing is ever too much trouble and they are there to help you all the way with either letting or selling. They are experts at introducing only people who are interested into your home and they do not waste your time with people who are not suitable. " "Gardiner Residential is a unique estate agents, friendly, helpful and very professional and I would recommend their services and I would most certainly use them again. " "I also wanted to say that you are the only agency that actually listens to your clients, so time is not wasted looking at houses which do not fit the bill, nor do you send people round to view one's house unless it fits the bill perfectly. " "Emma Gardiner was a wonderful Estate Agent. When my grandfather sadly passed away, my grandmother decided it was time to sell their house. It was a very sad and emotional time for the whole family. Emma not only sold our house fast and at a much higher price than we could have hoped for, she managed to do it in a way that made us feel supported and emotionally ready to sell the property." 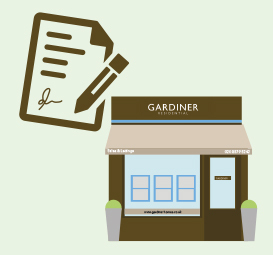 "The Gardiners have successfully secured me excellent tenants since they opened their doors for business. They have an unerring read of market conditions and offer an unparalleled level of professionalism and service. In my considerable dealings with Ealing Agents I rate them to be in a league of their own." "Working with Gardiner Residential was a real pleasure and quite a surprise! The surprise was the transparency and honesty which one does not expect in real estate transaction. In addition, Emma Gardiner went far beyond the call of duty in supporting us during the purchase process. The 2 families are now friends. Which is a joy and honour"
"I chose Gardiner Homes to sell my property because their photos and service set them apart from other agents. " "The service I received was professional, proactive and responsive to my needs. They took great photos of my property, something that friends and family spontaneously commented on." "Gardiner Homes also exceeded my expectations with viewings by emailing me to confirm appointments and giving me detailed feedback after each one to keep me informed. The property was sold to a purchaser that Gardiner Homes found through personal contacts - they even did a viewing on a Saturday night because that was the only time the viewer had available." "I have already recommended Gardiner Homes to friends for the simple reason that their service is extremely professional and importantly; gets results." "I had a really positive experience with Gardiner Residential when I was property-hunting at the end of 2010. Emma and Ian both took the time to find out what I wanted in a property and were able to give really useful advice on what I should look for and where I should look - their local knowledge was unparalleled. As well as being able to give me really helpful advice and show me a number of suitable properties"
"I have used Gardiner residential twice now and all I can say is I am a fan!!! Emma and Ian are both experts in the property field but even more important they take the time to get to know their sellers. From the moment they first came to view the property I knew I was in good and honest hands. 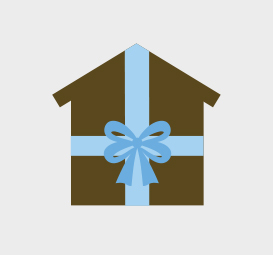 I got an offer on my property after 3 viewings, they know their customers well!! " "Gardiner Residential have everything you would hope to find in a top class estate agent: the ability to provide expert advice on the local market and the level at which to pitch the sale; a healthy book of committed potential buyers; a truly professional service at every stage - and best of all a friendly approach that revealed a genuine interest in their customers' interests. Faultless throughout." "Gardiners are a very special type of estate agent. They deliver superb customer service and they achieve great results. We recently used Gardiner to sell our house, they supported and guided us through the entire process, they were professional in all their dealing - we would recommend them unreservedly. " "Gardiners were excellent. A real personal service. They were friendly and efficient. They stayed completely on top of every aspect of our move which reduced the stress on us and made for a smooth sale. We were really impressed. " "We were looking to buy an investment flat for the first time and have found Gardiner Residential to be incredibly helpful and efficient, over and above the call of duty. It is really very rare these days to get exceptional service but I believe GR offer just this. They offered us advice on all aspects of our purchase and subsequent let and were really extremely helpful "
"Gardiner Residential are unique estate agents, friendly, helpful and very professional and I would recommend their services and I would most certainly use them again. " "This was the very best experience I ever enjoyed - yes enjoyed with an estate agent. Emma and Ian were extremely professional and very friendly too "
"I would certainly recommend Gardiner Residential to anyone wishing to sell/buy in Ealing. The agent appeared to have very good knowledge of the area and acted professionally throughout the sale. " "The Gardiners have successfully secured me excellent tenants since they opened their doors for business. They have an unerring read of market conditions and offer an unparalleled level of professionalism and service. In my considerable dealings with Ealing Agents I rate them to be in a league of their own. " "We recently had Gardiner Residential sell our property for us. I can honestly say that after having three previous well established agencies, the Gardiners went over and above the call of duty. They were so helpful, patient and exceptionally efficient. 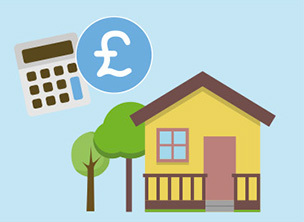 Selling and buying a home can be very stressful but Ian and Emma have managed to help us in such a way that it turned out amazingly well for us. 10 out of 10 for customer service, efficiency and professionalism. Thank you so much for your help." "Emma and Ian both took the time to find out what I wanted in a property and were able to give really useful advice on what I should look for and where I should look - their local knowledge was unparalleled. As well as being able to give me really helpful advice and show me a number of suitable properties, they provided me with a really professional and friendly service. I have no hesitations in recommending Gardiner Residential to others"